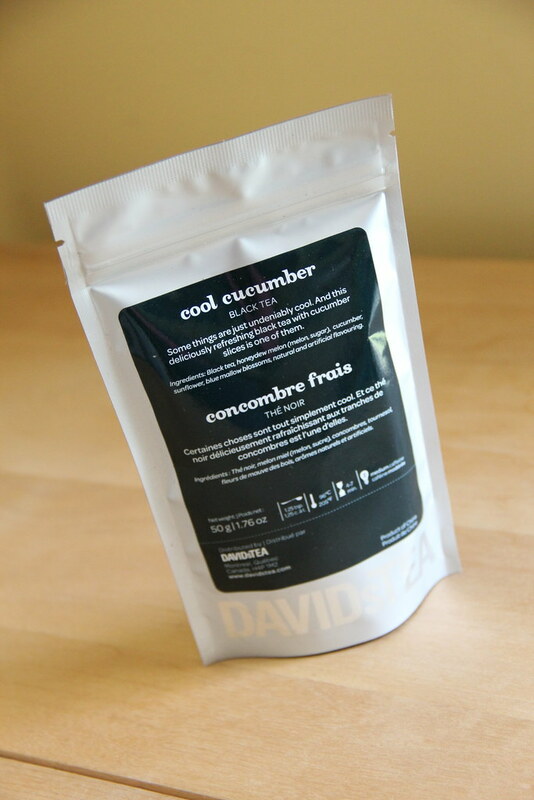 Another of the spring flavors I picked up in my last order from David’s Tea was the Cool Cucumber. 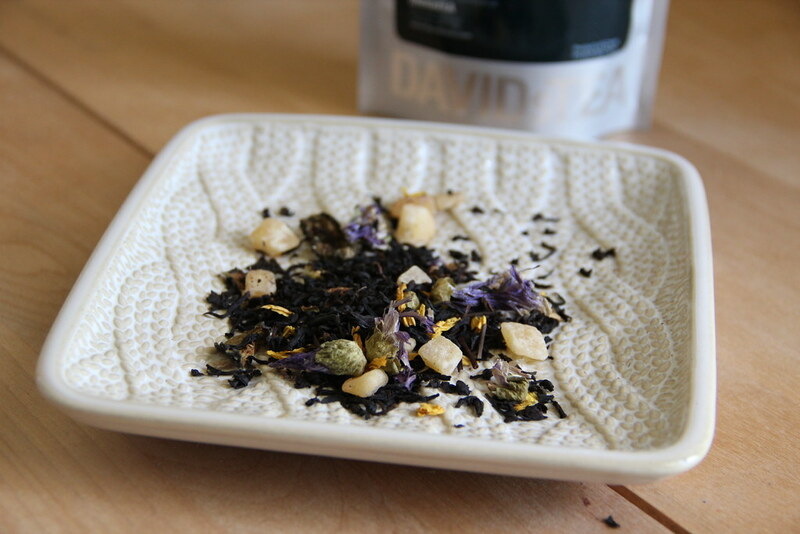 Again it appears I’m too late to post, because now it’s only available in the Spring Sampler as one of five teas for $27.50. From the packaging Cool Cucumber is a black tea with honeydew melon, cucumber, sunflower, and blue mallow blossoms. When I first opened the package I could smell the cucumber and the the sweet honeydew melon. Once brewed I could still smell both. The fragrance was pretty strong so I wasn’t sure how I was going to like the taste. However I was pleasantly surprised – it was almost like using cucumber water to brew tea. I think this one would be perfect brewed ice cold, especially for a relaxing day or time at the spa!